Russia will abide by the UN Security Council resolutions on the Golan Heights, Kremlin spokesman Dmitry Peskov said Friday. 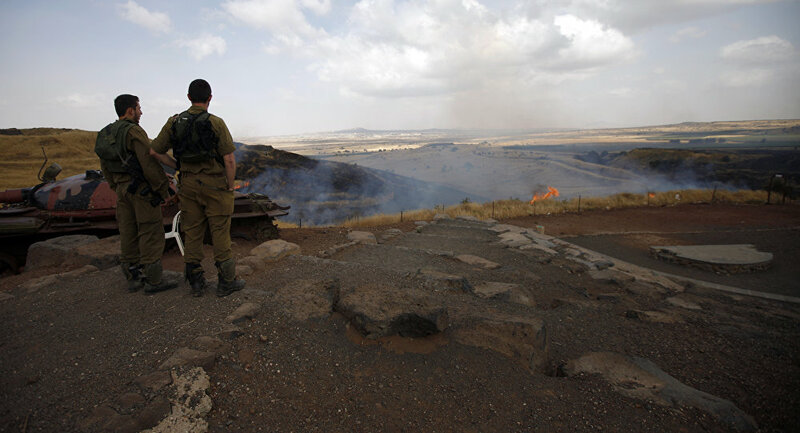 MOSCOW (Sputnik) — Moscow's stance on the Golan Heights remains unchanged and is in line with UN Security Council resolutions, Kremlin spokesman Dmitry Peskov said Friday. "The Russian stance is not changing in any way, it is in line with the relevant Security Council resolutions, there are no new elements to this position," Peskov told reporters. Israeli Prime Minister Benjamin Netanyahu told Russian President Vladimir Putin during a meeting on Thursday that the Golan Heights would remain under Israel's control. The UN Security Council defines the region as occupied Syrian land.